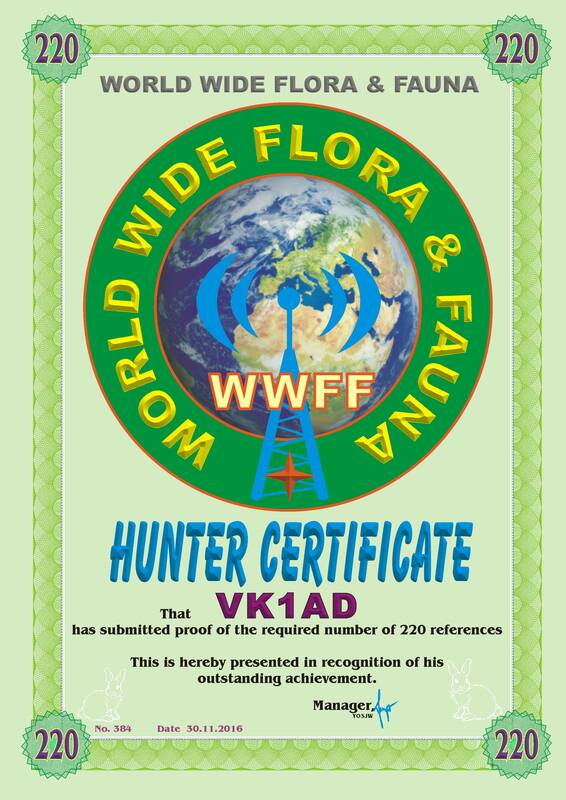 World Wide Flora and Fauna (WWFF) in Amateur Radio Award Certificates. Paul VK5PAS is the Australian coordinator for the World Wide Flora and Fauna program. The program offers a range of award certificates for operating amateur radio equipment in Australian National Parks (VKFF). Operation of the VKFF program can be found at World Wide Flora and Fauna Australia.